Preparing our kids for the 21st Century…. The world is rapidly changing. Did you know that many of the careers our young children will be doing when they grow up haven’t even been invented yet? Did you know the world is advancing so fast that by the time many of our University graduates finish their degree, the content they covered in their first two years will most likely be outdated? How then do we teach children the things they need to know, when we ourselves don’t yet know what they need to know? How do we teach them the skills they will need for the future, if we don’t know what the future will look like? The answer is quite simple, Early Childhood Educators have to change the way they teach, and they have to start with our youngest learners. They need to become partners in learning with their kids. They need to equip each child with a set of skills that they will be able to adapt to serve them in whatever the future may bring. Once upon a time a teacher was the keeper of all knowledge. Often the only way to gain new knowledge was to hear it from a teacher. This is definately not the case anymore. Now, we can find out information at the touch of a button on our phones, tablets, laptops and even smart TVs. If we want to know something we don’t need to rely on our teachers to give us the information we seek…This in itself is amazing, however the problem lies in the fact that with so much information on offer, it is hard to know what is reliable and how we can critically evaluate it to determine if it is correct, relevant and factual. If teachers are no longer the givers of information, what are they? We believe they are facilitators of learning. They are role models to show how to utilise all that we have available, to best develop our skills and knowledge. The heart of 21st Century Learning is to teach kids how to learn, not what to learn. To teach them how they can they keep up with technology and use it to best suit their purpose. How they can develop a range of skills which will be adaptable to any type of career they may venture into. At Rainbow we know that a 21st Century Learning approach will best serve all our kids for the future. So what does this mean to us? It means equipping children with a range of skills, knowledge and understanding which will serve them on their future path. To achieve this we have developed state of the art curriculums which focus on developing an entire range of 21st Century based Skills. It means our Educators training, researching, trialling, collaborating and learning everything they can about 21st Century Learning, so they can most effectively implement this approach. It also means developing and incorporating specialised programs such as music science and fitness programs to ensure that our learning is all encompassing, real and life long. What are these 21st Century skills? We at Rainbow have devised a series of skills based on vast amounts of research, that we believe will allow our kids to be the most effective 21st century citizens they can be. 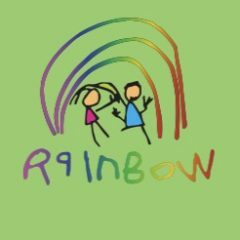 With collaboration and the combination of many beautiful minds within Rainbow we have created our own unique curriculum that covers 21st Century Skills, the Key Learning Areas, Developmental Milestones and the Early Years Learning Framework. You will not find a curriculum like ours anywhere else. The combination of the above areas in our curriculum allows us to provide unique early childhood learning and a ready for school, ready for life approach. Children are 100% of the future, let’s give them every opportunity available to make it a great one.